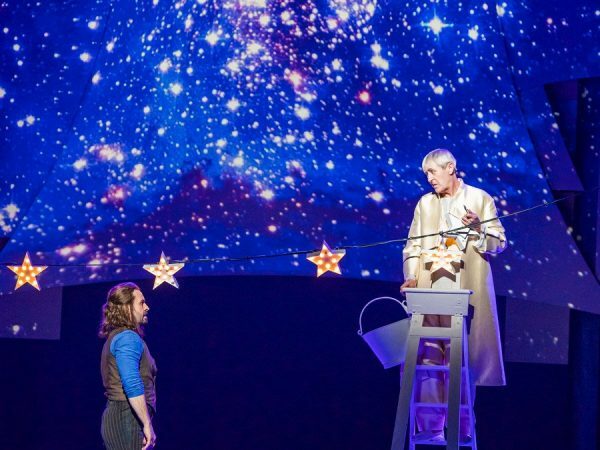 The English National Opera has recently started to showcase musicals with big names in addition to their famous Operas. Partnership with Michaels Linnit and Grade has given us Emma Thompson and Bryn Terfel in Sweeney Todd and Glenn Close in Sunset Boulevard. 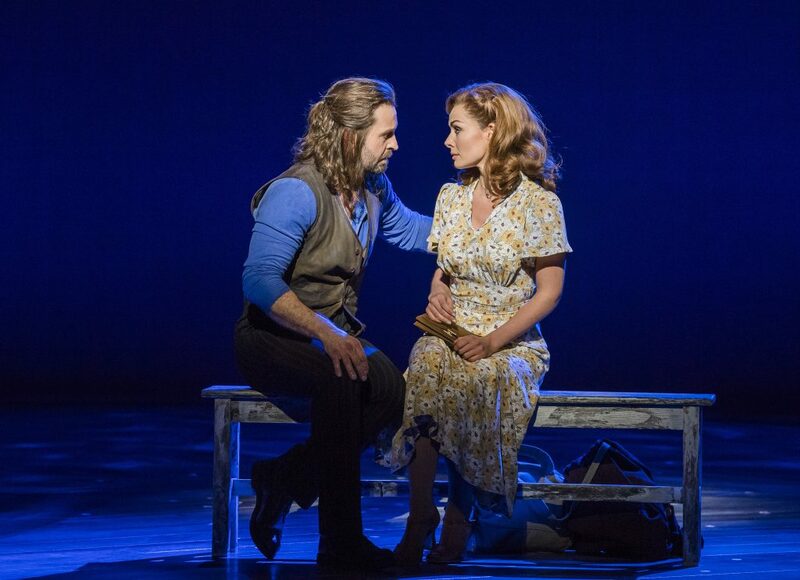 Now it is the turn of the Rodgers and Hammerstein musical: Carousel with Alfie Boe and Katherine Jenkins as the leads. 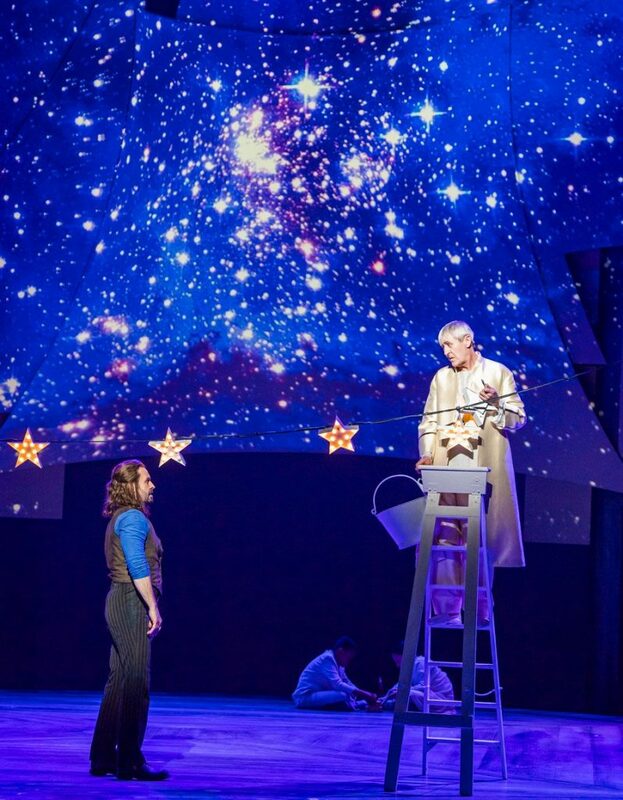 Rodgers and Hammerstein created something rich and complicated when in 1945 they adapted Ferenc Molnár’s play Liliom. Moving the action from Budapest to Maine (clam-bakes! sailors! 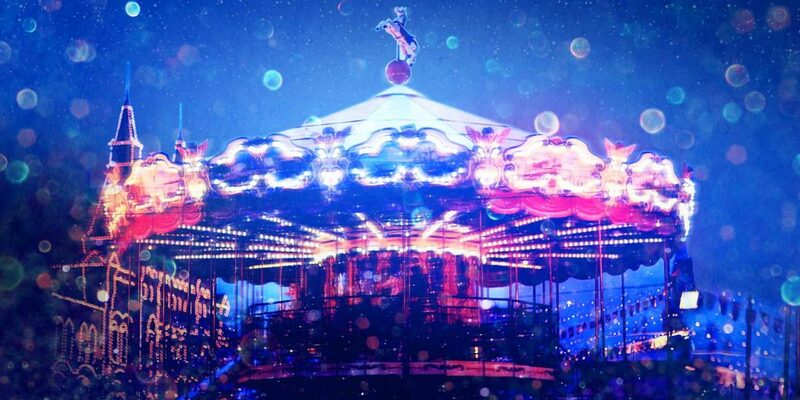 ), they drew on the sinister jollity of the carousel, and fused a lush score with a bleak story. The numbers soar: If I Loved You, June is Bustin’ Out All Over, Mister Snow. Lonny Price’s excellent revival is “semi- staged” in description but to me it looked pretty complete! James Noone’s designs, projecting images of a New England fishing village on to a set of curved sails, are subtlety changed to fit the locations the story is taking place in and Josh Rhodes’s choreography is a full-blooded affair: from dancing showgirls to sailors! The ENO orchestra, under the baton of David Charles Abell, also occupies a raised platform and becomes a visible part of the experience: even that over-used anthem, You’ll Never Walk Alone, is rescued from its football associations by our being able to see the accompanying harpist as well as hear the stunning voice of Brenda Edwards. Alfie Boe admirably conveys the character of Billy’s complexity, combining a bear-like roughness with hints of an underlying gentleness: the big switch in his soliloquy when he suddenly imagines what it would be like to have a daughter – “you can have fun with a son but you have to be a father to a girl”– is beautifully done. Katherine Jenkins’s Julie is no passive victim but a hard-headed realist who knows perfectly well what she is getting into: she renders her big numbers – especially What’s the Use of Wond’rin’ – with a rapt sincerity that perfectly conveys the confusions of love. On the night I saw her suffering from a chest infection I was stunned by the power of her voice and overall superb performance, kudos to her for being a trooper and continuing with the show! There is good support, from the rest of the cast – over 100 visible participants, making it without question the biggest show in town! And outstanding for me was the performance from Alex Young as Julie’s friend: Carrie lending some individuality and humour and providing a necessary respite from the prevailing earnestness. 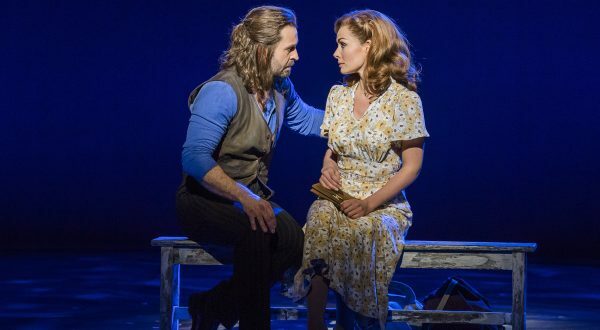 Katherine Jenkins and Alfie Boe put their million-album-selling voices to good, stirring use and it was nice to see people at The ENO that may not necessarily pay a visit. I think ENO should continue showing musicals alongside the Operas and look forward to their next one: Bat out of Hell –The Meatloaf musical! 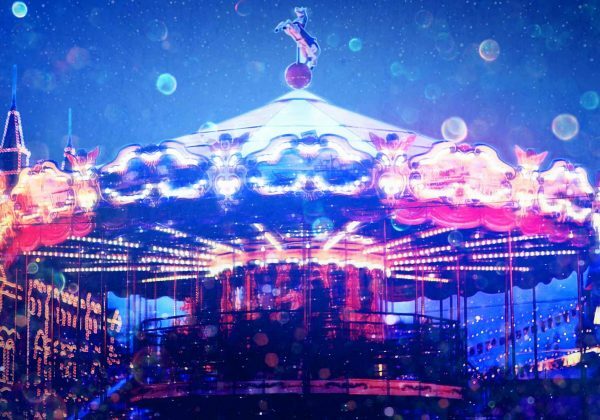 Carousel is on at the Coliseum, London, until 13 May. Box office: 020-7845 9300.